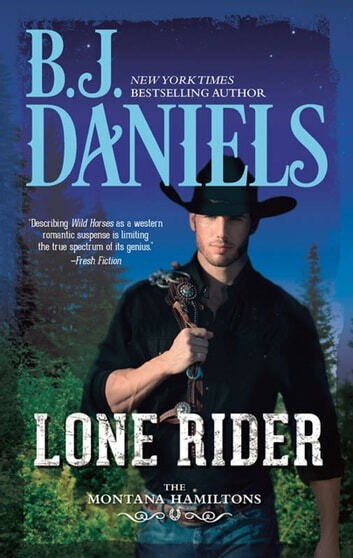 When danger claims her, rescue comes from the one man she least expects A cowgirl at heart, Bo Hamilton does her best thinking in wide-open spaces. So when money goes missing from the family foundation she runs–meaning one of her trusted ragtag employees is a thief–Bo rides into the Crazy Mountains to figure things out. But a killer hiding among the sawtooth ridges takes her captive…and isn't planning on ever letting her go. Bo's disappearance gets folks thinking she's the guilty one run off with the money, but Jace Calder would bet his ranch that she's innocent. Not that he has any reason to trust the beautiful, spoiled senator's daughter. But she also gave his troubled sister a job when no one else would. For his sibling's sake, Jace is going after Bo and bringing her home to face the truth. But up in the mountains, he finds Bo at the mercy of a suspected murderer. As her only hope, Jace is about to find out what they're both made of.